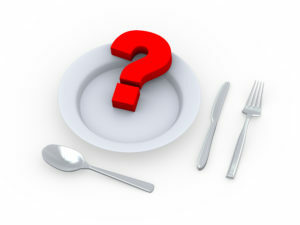 Dear Fort Worth Dentist, Will a Soft Food Diet Hurt My Teeth? Diets are a dime a dozen these days. Some eating plans are silly fads that everyone will forget about in a few years, while others are tried and true methods for taking in balanced nutrition. Some diets are designed specifically for people who have just had surgery or who are undergoing cancer treatment — often, such diets focus on soft foods that are easy to chew and swallow. Still, you might wonder if eating soft foods all the time poses a threat to your dental health. Your Fort Worth dentist is here to discuss this important issue. Quite a few people believe that dogs should eat hard food because it helps to remove plaque from their teeth, but does the same principle apply to humans? Well, you can’t stop brushing your teeth if you munch on nuts and raw veggies all the time. However, there is something to be said about eating a diet that is full of whole foods. Researchers discovered that noncarious cervical lesions (little, wedge-shaped divots near the gum line) are a problem that has become common only in the last century or so. They postulated that the modern diet of highly refined, softer foods is to blame. To test their theory, they created models of teeth and simulated extensive chewing action. The teeth that ate harder foods experienced less overall wear and tear. Of course, this doesn’t mean that you should eat extremely hard foods that might break your teeth, but it does mean that enjoying lots of raw vegetables, crunchy fruits, nuts, and other wholesome, whole goods can benefit your smile. When doctors recommend that a patient adopts a soft food diet, they usually have good reason. Someone who has problems swallowing food or whose digestive system isn’t up to par may find it extremely difficult to eat harder foods. It’s possible to get complete nutrition while eating only foods that go down easy. Your dentist in Fort Worth may even suggest that you go on a soft food diet after you have oral surgery. The last thing you want is to irritate the tender, swollen tissues in your mouth by exposing them to anything that may cause bleeding or extra pain. After you’ve had some time to heal, you can go back to enjoying the crunchier, harder foods that benefit are better for your smile’s long-term well-being. If you’re still not sure what you should be eating, we suggest that you talk to your doctor and/or your dentist to get some personalized guidance. In general, though, if you focus on eating a balanced diet with lots of whole foods, you’ll likely benefit your oral health and your overall health. Dr. John Boyd is proud to serve as your Fort Worth dentist. He has been practicing his art for well over two decades. He loves to share his knowledge with his patients, so if you have questions about which foods are best for your teeth, please don’t hesitate to ask when you come in for your next appointment! To schedule an exam, you are welcome to contact us via our website or by phone at 817-882-8282. Comments Off on Dear Fort Worth Dentist, Will a Soft Food Diet Hurt My Teeth?